Did you know this is Banned Books Week? I love books, especially banned ones! I say any book someone says you shouldn’t read just makes me want to read it more! 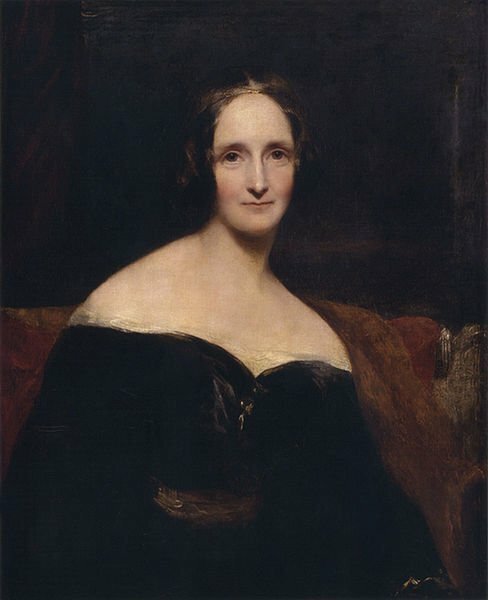 My favorite Banned Book of all time is Mary Shelley’s Frankenstein; or, The Modern Prometheus. She started the story when she was 18 and it was published when she was just 21. The first edition was published anonymously in London in 1818. Shelley’s name appears on the second edition, published in France in 1823. From wikipedia: The storyline emerged from a dream. Mary, Percy, Lord Byron, and John Polidori decided to have a competition to see who could write the best horror story. After thinking for weeks about what her possible storyline could be, Shelley dreamt about a scientist who created life and was horrified by what he had made. She then wrote Frankenstein. Banned! Because it proposed man as God. Banned! Because Shelly’ was a feminist and forward-thinker. What is your favorite Banned Book? What is your favorite Banned Book? Click this link to find out some of the latest titles on the list. This entry was tagged Banned Books, Frankenstein, John William Polidori, Lord Byron, Mary Shelley, Polidori, Week. Bookmark the permalink. why choose? they both fill different, wonderful needs! !